I begin my second list of ten films the same way I did the first ten, with a Richard Linklater "Before" film. This time it is the second piece of the trilogy, and not only does it take place nine years after the events of the first film it was also released nine years later as well. This adds an authenticity to the story that can't be replicated by typical Hollywood trickery like makeup to age the characters ever so slightly, and it also adds an ability to allow to audience to connect deeper to the film. Why? Because our lives change so much over the course of nine years, perhaps in regards to romantic relationships as well, so finding out what had happened to Jesse and Celine during the same time feels exciting. Before Sunset just feels so real, and the ending is pure bliss. Predictability is often times a major problem for me with films, and yet here we have Warrior by Gavin O'Conner, quite possibly one of the most predictable films I have ever seen. 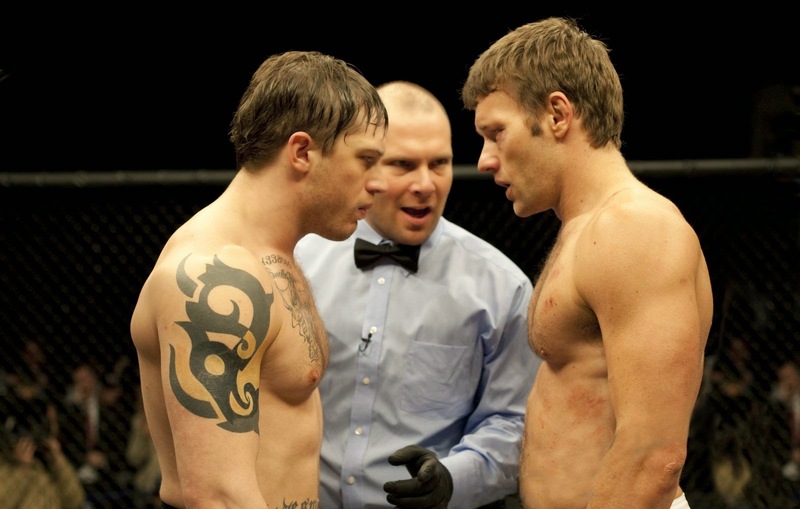 Two brothers played by Tom Hardy and Joel Edgerton both find their way into a major MMA fighting tournament and both need the first place prize money for reasons that tug on the heartstrings. I don't watch MMA, I don't even know anything about MMA, but I know a gem of a film when I see one and Warrior almost literally makes me stand and cheer, and quite a few tears are shed as well. Oh, and I didn't even mention the Oscar worthy performance by Nick Nolte as their father. Quentin Tarantino has become a household name with his unique and controversial style, but back in 1992 he was an unknown and Reservoir Dogs put him on the map. What begins as a jewelry heist gets ugly when the police are practically waiting for the team of criminals and the only way out is to resort to violence, and those on the crew that survived the ordeal try and hash out who among them could be a police informant. A low budget film that has become iconic for its structure, its performances, its clever and fierce script and some rather brutal imagery. 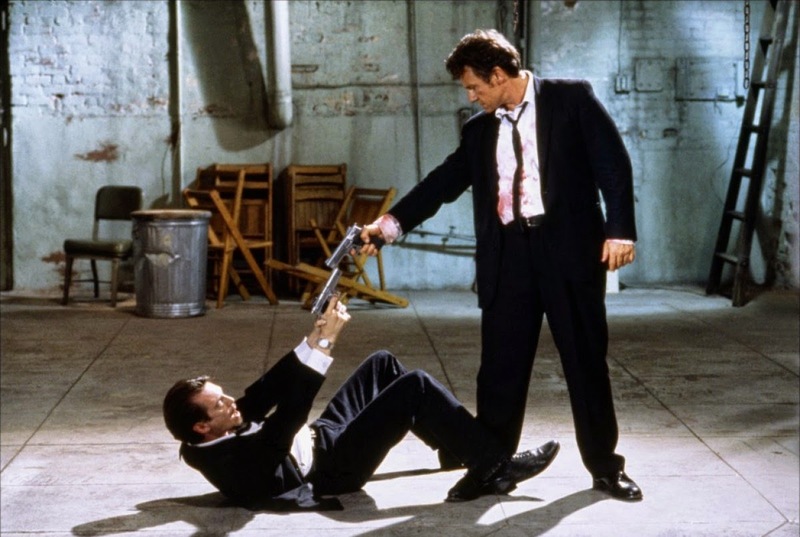 I couldn't get enough of it as a teenager and Reservoir Dogs has never lost steam since. 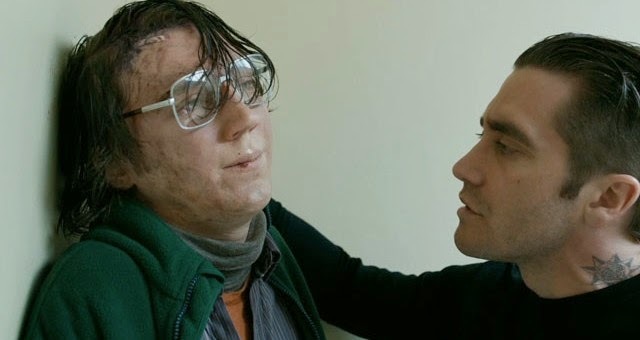 Prisoners was my introduction into the work of filmmaker Denis Villeneuve, and I have since gotten the chance to friggin' love two of his other pictures, Incendies and this years Enemy, but I didn't need those other films to immediately know that I was witnessing something truly special. Prisoners tells the horrifying story of the kidnapping of two young girls and the lengths some people will go to in order to find and save their children. This is exactly the type of film I love. 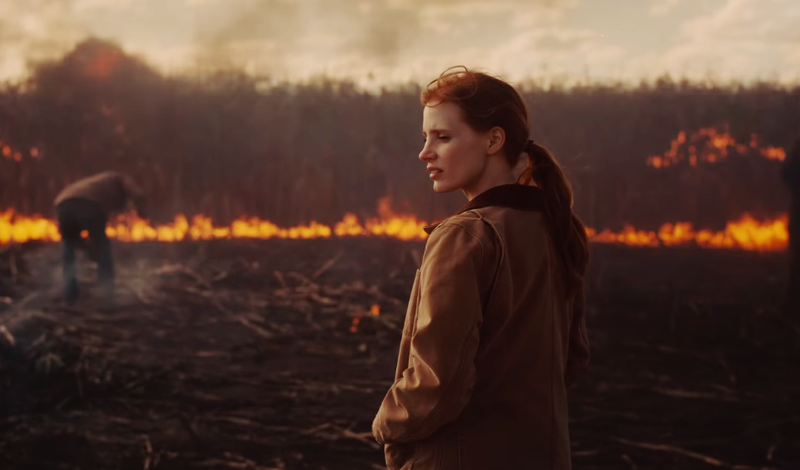 Intense, gritty, dark, ominous and the cinematography by the amazing Roger Deakins, I was captivated throughout and I have since learned that a revisit works just a well. The mystery being solved doesn't diminish a thing. My admiration for this masterful slice of Ridley Scott science fiction did not come with my first viewing many years ago. I recall thinking parts were cool and overall I liked it, but it certainly wasn't something that would find its way to any of my "Best Of" lists. 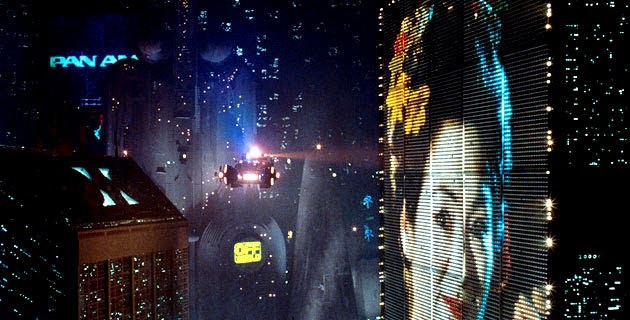 Well, clearly that has changed because multiple viewings later and I get giddy thinking about the neon glow, Rick Deckard and the replicants. An influential, modern classic that I absolutely must revisit every so often. This is one that often sparks a debate because yes, I have seen both the original and the remake, and yes I prefer the latter. The style of David Fincher is one I adore, and when I read the source material in advance of seeing this I couldn't wait to see the way he would handle it. The end result was everything I could have wanted and more, and the performance by Rooney Mara as Lisbeth Salander puts it over the top. Originally a television miniseries in Poland, the ultra ambitious project by filmmaker Krzysztof Kieslowski is now regarded as one of greatest films ever made and rightfully so. A series of ten relatively short films, all roughly an hour in length, Kieslowski based each one on one of the ten commandments and while some of the films are stronger than others, the overall result is remarkable and unforgettable. The single best installment of the ten is Decalogue V based on the commandment thou shall not kill. Clearly a statement from Kieslowski involving his strong opposition to the death penalty, I will randomly think of some of the powerful imagery from that film and it has been quite some time since I have seen it. 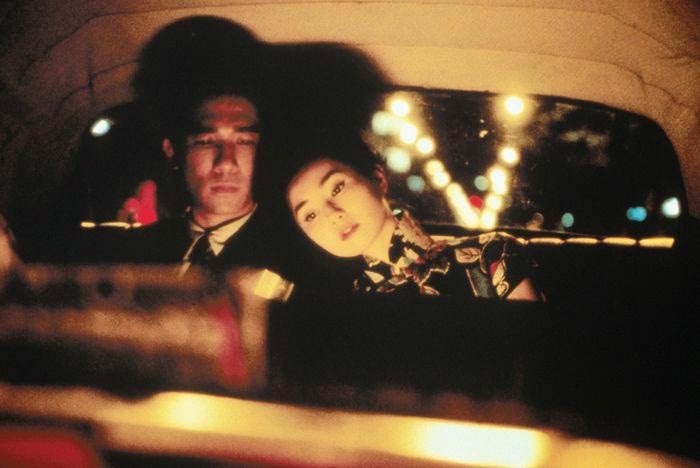 A beautiful romance portrayed with grace and artistry by director Wong Kar-wai, In the Mood for Love is a smooth, eloquent story about two young couples who reside in apartments adjacent to each other. As each of those relationships struggle due to the loneliness of their spouses constant travel schedules, the ones left behind are able to connect with each other on a deep, intense level. Even when the film illustrates a romantic connection, a moment that should be joyous, the mood of this picture is always quite morose as the struggle of two people falling in love when they know they should remain loyal to their spouses brings forth guilt rather than passion. The recently released polarizing science fiction epic by Christopher Nolan is the newest film on my list, which was a pretty safe bet since it was only released just over a month ago. I saw it twice at the cinema during the first week of its release and I was overwhelmed by the magic I felt emitting from the giant screen in front of me. I understand and appreciate the various flaws of this work that have been brought to my attention, but none of it matters because when I think about the experience I feel warm and comfortable and yet thrilled and nervous all at the same time. I love the potential of the science fiction genre to show us new worlds, to take us farther than any human being has ever gone, and to bring our imaginations to life as we wonder if anything we witnessed was truly possible down the road. Do I think the film is perfect? I do not. Surprisingly, considering its ranking on this list, I actually do have slight reservations with the overall work. However, I could watch it on repeat for all the reasons it does work, and those are the aspects that I can't stop thinking about. 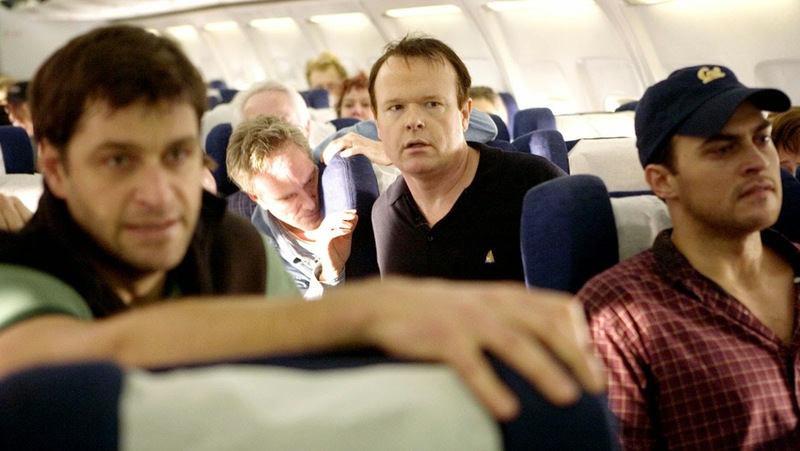 I recall when the film United 93 was first released, a lot of the discussion revolved around whether or not it was made "too soon" and was thus insensitive to those that lost their lives on the tragic day of September 11th, 2001. I'm not the person to make such decisions and I can't imagine what those grieving had to go through, but as a film of great films United 93 is a powerful, incredibly well made work. Paul Greengrass was the perfect choice for a subject matter like this, as he somehow managed to take a story that everyone in the audience would know precisely how it would tragically end and yet he fried our nerves and brought tears rushing to my eyes without being manipulative or writing dialogue that would be pandering for tissues. It all felt hauntingly, horrifyingly real, and when that final frame disappeared from the screen I found it impossible to move or talk. I just had to sit there and appreciate the bravery and heroism of those on that plane, those that knew the only chance they had was to fight back and whether they knew it or not, a lot of lives were likely saved because of it. Next up will be #80 through #71. The image above is a taste of a film that will appear on that list. Glad to hear the love for United 93 is mutual. I will check out that list right now, thanks! 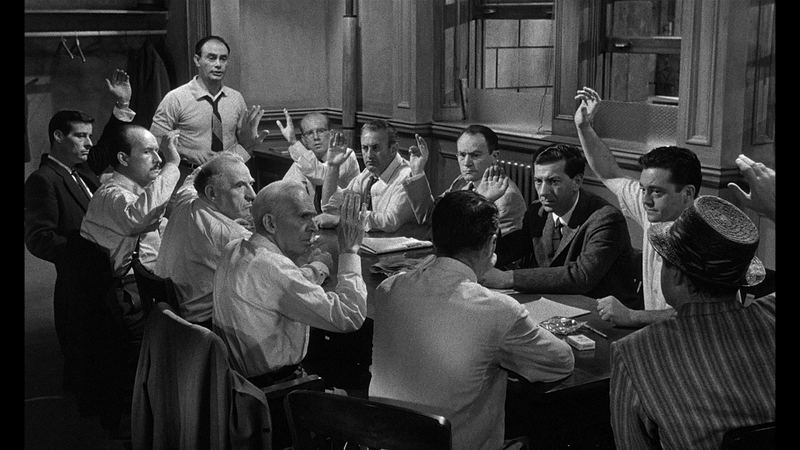 One of the films you listed in your 40-50 range appears in my top 15. Just have to wait and find out which one! I know what you mean about least favorite but still amazing, as I mentioned with Sunrise on the other post. The beauty of Linklater films like these and Boyhood, you can bask in the realism and make personal connections with their authenticity.